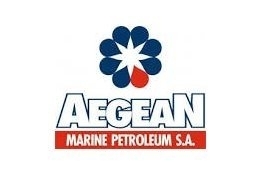 Aegean Marine Petroleum Network [NYSE:ANW] today announced a series of appointments and departures along with the formation of a new Management Committee. Sal Drago, who from 2013 was Aegean’s Global Director of Supply and Trading, has rejoined the Company in the same role. Kostas Polydakis, formerly Aegean’s Managing Director, Shipping, has been promoted to Chief Operating Officer. John G. Mystakidis, formerly a partner at Ernst & Young and most recently a full-time consultant to Aegean, has joined the company as its Group Financial Controller and Interim Chief Financial Officer. Previous COO Manolis Chochlakis, who was appointed in December 2017, and the previous CFO Pavlos Papageorgiou, appointed in April 2018, have both left the Company. Ship & Bunker understands both had their positions terminated. Polydakis, Mystakidis and Drago join Aegean President Jonathan McIlroy as the new Management Committee. “I am delighted to welcome Kostas Polydakis, John Mystakidis and Sal Drago – three proven executives, who have earned our respect and trust – to the Aegean senior management team,” said Aegean Chairman Donald Moore. As shipowners hold off from ordering newbuildings until fuel market more stable.